Walt Disney World Resort - A new nature-inspired, mixed-use Disney resort will welcome families in 2022 along the picturesque shoreline of Bay Lake. 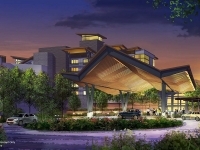 Located between Disney's Wilderness Lodge and Disney's Fort Wilderness Resort & Campground, this resort project joins three others underway at Walt Disney World Resort, bringing a total of more than 1,700 new hotel rooms and proposed Disney Vacation Club villas online over the next four years. The soon-to-be named resort is slated to be Disney's 16th Disney Vacation Club property and it will continue to build on the value and flexibility of a Disney Vacation Club membership. "This resort experience will be a celebration of Walt Disney's lifelong love and respect for nature, with some fun and even surprising accommodation types that families will find irresistible," said Terri Schultz, senior vice president and general manager of Disney Vacation Club. "It will give our members and guests yet another opportunity to stay in close proximity to all the newest attractions and experiences in our theme parks, and with the flexibility, value and world-class service families expect from Disney." Disney's Coronado Springs Resort will debut completely reimagined in 2019, featuring a new 15-story tower overlooking Lago Dorado, the resort's centerpiece lake. Offering an additional 545 new guest rooms and suites, the tower also includes a two-level entrance lobby, concierge lounge, new meeting spaces and more. Guests will also be able to enjoy rooftop dining at a specialty table-service restaurant with panoramic views. The existing 1,800 guest rooms have all been fully updated with new fixtures, furnishings and a color palette that ties the entire resort together. Also currently under construction near Epcot and anticipated to open in 2019 is Disney's Riviera Resort, the 15th Disney Vacation Club property. With plans for approximately 300 units across a variety of accommodation types, this much-anticipated property will connect to Disney's Hollywood Studios and the International Gateway at Epcot via the Disney Skyliner. 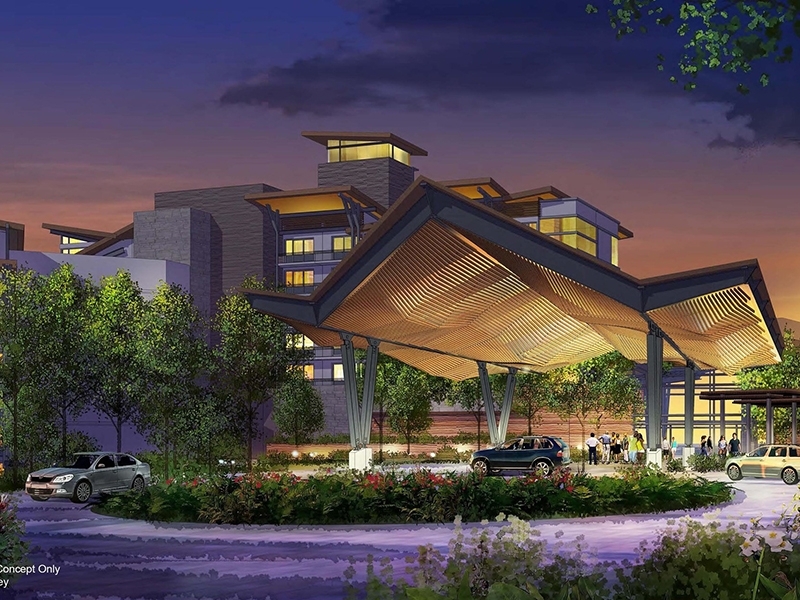 This new resort will be the first all-Disney Vacation Club property at Walt Disney World since Disney's Saratoga Springs Resort & Spa opened in 2004. These resort projects join a flurry of expansion at Walt Disney World Resort, including the highly successful Pandora – The World of Avatar at Disney's Animal Kingdom and the recent debut of Toy Story Land at Disney's Hollywood Studios. In early 2019, Walt Disney World will unveil a collection of shows, parties, Disney character interactions and more that will allow guests to cherish time with family and friends. And later in the year, guests will be able to travel to Star Wars: Galaxy's Edge at Disney's Hollywood Studios, where they can live out their own adventures in a galaxy far, far away. Guests will realize now more than ever is the perfect time to experience all of the fun and magic of a Walt Disney World vacation. Walt Disney World Resort is a nearly 40-square-mile, world-class entertainment and recreation destination featuring four theme parks (Magic Kingdom, Epcot, Disney's Hollywood Studios and Disney's Animal Kingdom); two water adventure parks (Disney's Blizzard Beach and Disney's Typhoon Lagoon); 36 resort hotels (26 owned and operated by Walt Disney World, includes eight Disney Vacation Club resort properties); 63 holes of golf on four courses; two full-service spas; Disney's Wedding Pavilion; ESPN Wide World of Sports Complex; and Disney Springs, an entertainment-shopping-dining district. Walt Disney World Resort is also included in vacation packages of Disney Cruise Line. Located at Lake Buena Vista, Fla., 20 miles southwest of Orlando, Walt Disney World Resort opened Oct. 1, 1971. Open daily, year-round. For information on attractions and vacations at Walt Disney World Resort, visit disneyworld.com, call (407) W-DISNEY or contact local travel agents. Disney Vacation Club, a leader in vacation ownership, debuted in 1991 with a flexible, vacation points-based system rather than the traditional fixed-week timeshare model. Today, Disney Vacation Club has more than 220,000 member families, from all 50 states and approximately 100 countries, who have discovered the joys of membership. Disney Vacation Club Members are able to choose from among a variety of exciting vacation destinations, including a stay at any Disney Vacation Club Resort or one of the thousands of other vacation options in destinations around the world. Plus, when purchasing directly from Disney, members can also enjoy the Disney Collection, which includes select Disney Resort hotels, Disney Cruise Line and guided vacations with Adventures by Disney, as well as the Concierge Collection, a portfolio of extraordinary hotels in sought-after destinations. Vacations at a Disney Vacation Club Resort can last anywhere from one night to several weeks. With Disney Vacation Club properties located near the Disney theme parks in Florida and California, with valid theme park admission Members have easy access to new and innovative attractions on both coasts.